As you notice, our blog is dedicated to LG firmware, and today we want to talk about LG Joy smartphone. Here you can find full list of LG Joy firmware, and some interesting information about this smartphone. The smartphone from LG has the lowest performance among the entire model range. It does not have special features that could highlight a smartphone among its competitors. LG Joy has 4-inch WVGA display with a resolution of 800 x 480 pixels and a density of 233 pixels per inch. The scrolling of the pages was enough to see all the charms of low resolution in comparison with other LG products, so you should not expect a beautiful video picture on this screen. 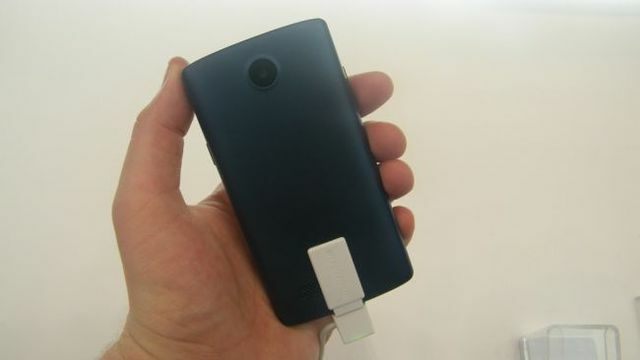 It is a small and thick smartphone, which in the boards has 11.9 mm. So, if you are used to thin smartphones, you will be shocked. Now imagine how you are trying to put it in your pocket. That's how it looks next to LG G Flex 2, a really beautiful smartphone. There is a slight effect of the rear panel worn out, which promises better grip on the hand, the same purpose is served by the rounded thick sides of the smartphone, but they give the impression that you are using a small brick instead of a phone. 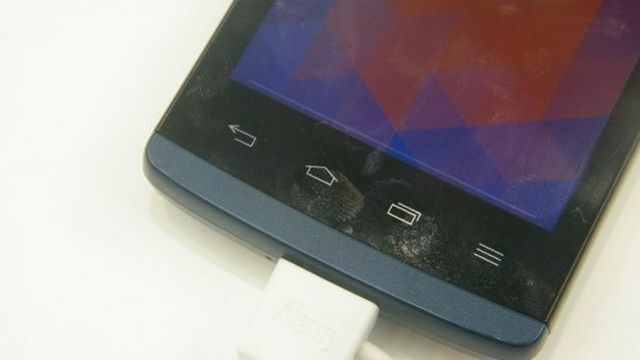 The power button is on the right side of the smartphone, a strange enough solution for LG, we are used to see control buttons on the back panel. On the left side of the smartphone you will find a volume rocker. At the bottom of the smartphone frame you will find four navigation buttons to control the smartphone, but during the review I found that some of these buttons do not respond to simple touch, you had to press them several times to make them work. The biggest advantage of LG Joy is Android 5.0 Lollipop, which is preinstalled on the smartphone. It was the latest and greatest version of Google at the moment of smartphone release. Also, it is probably one of the cheapest smartphones with this software, which is surprising, since LG could well release a budget smartphone with an earlier version of Android 4.4 KitKat. There are two different models of LG Joy. The first model is equipped with 1 GB of RAM and 8 GB of internal memory with a 4-core processor at 1.2 GHz in four cores. Another model runs on dual core 1.2 GHz processor, 512 MB of RAM and 4 GB of internal memory. Both smartphones have microSD slots, so expanding the memory should not be a problem, although it is limited to 32 GB. On the back of LG Joy you will find 5-megapixel camera that seems to be better than expected, but the front-facing 0.3 megapixel camera was one of the weakest I've ever used since last year. The smartphone advertises as a friendly selfie device that supports gestures designed to speed up shooting. Moreover, LG Joy is limited to 3G, which means that you can not use 4G SIM card and get ultra-fast access to the Internet. In fact, 4G is not something that is common in this range and LG Joy is no exception. 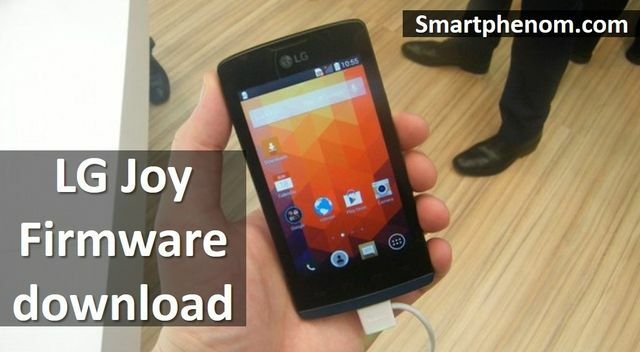 So, if you are interested in firmware, then you already have LG Joy smartphone. Now, where you can download LG Joy firmware and how to install it. First, you need to know how to install LG Joy firmware. Read our article how to install KDZ. Then, you can use link below to get access to more than two dozen of LG Joy firmware. Thank you guys! Hope this article was helpful for you. If not, write in comments below, you’ll try to help you.